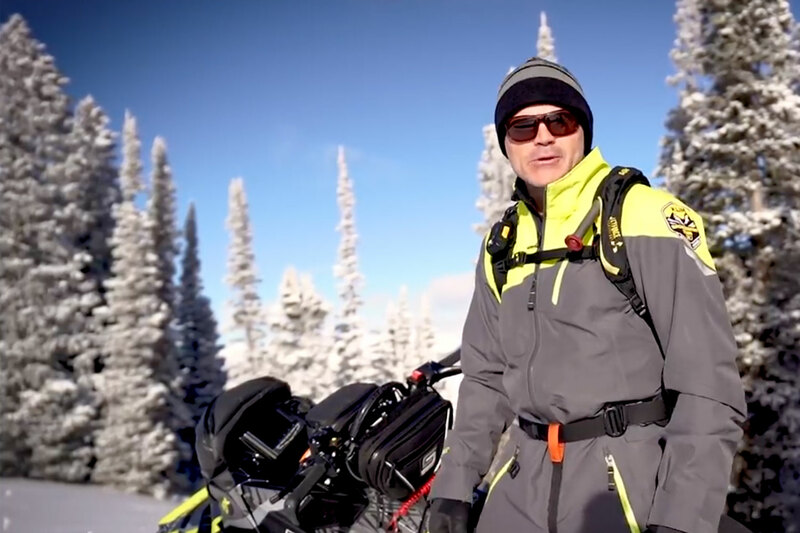 Get ready to discover snowmobiling in the land where the snowmobile was born - beautiful, breathtaking Québec. It's only here, where you can chart a course of unlimited adventures down 33,000 km / 20,500 mi. of interconnecting trails that wander through pristine forests, over frozen lakes and along the sea as they give way to breathtaking snow-sculpted landscapes. With eight destinations to choose from, endless touring opportunities await you. The 200 member clubs employ over 490 groomers and the 4,500 volunteers dedicate over 800,000 hours ensuring the best snowmobile experience that a die-hard enthusiast can have. 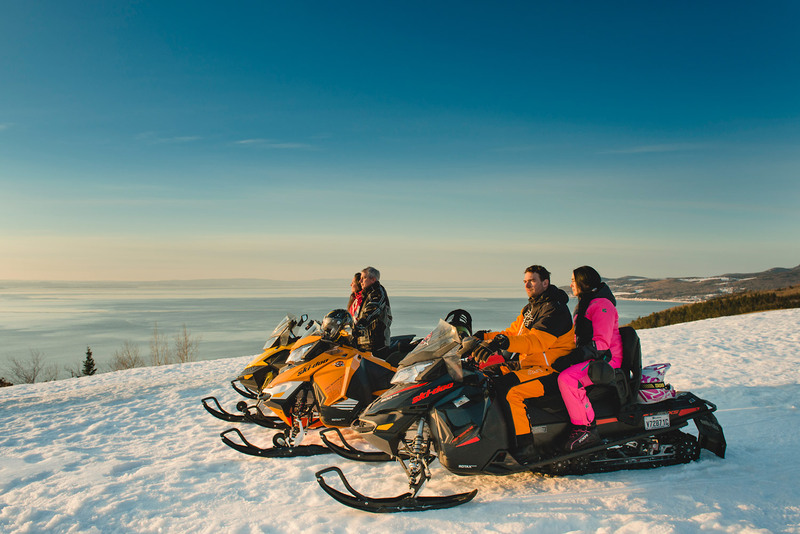 Balancing the thrill of the sport with well deserved R&R and the utmost in hospitality is yet another aspect of Québec snowmobiling you'll discover by visiting the classy lodging, luxurious spas and many great restaurants the province offers. Whether it be riding through meandering sugar bush trails or witnessing the majestic views of the St. Lawrence River, when you ride in Québec you're always greeted with freshly groomed trails and an unforgettably warm welcome. 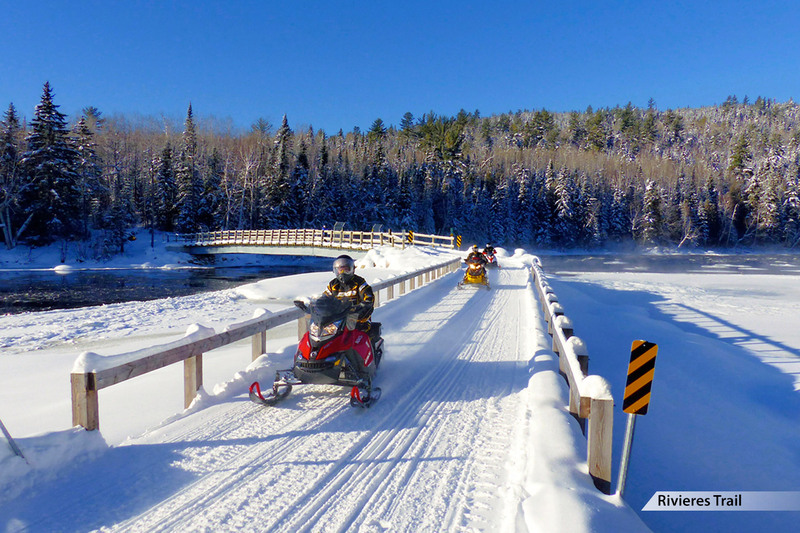 Whichever kind of snowmobile adventure you’re looking for, Québec has something for you, your friends and your family. To enable you to best plan your trip, Québec has grouped some of the most popular trails into categories that best complement the experience you may be looking for. Settle in at a popular destination, explore surrounding trails at your leisure, then hang with locals and friends at great restaurants and bars in the evening. Discover regional trails at a leisurely pace and after an incredible day out, kick back in front of the fire with a delicious meal. Wide open spaces, long distances, and the thrilling rush of adrenaline that comes with serious snowmobiling expeditions. 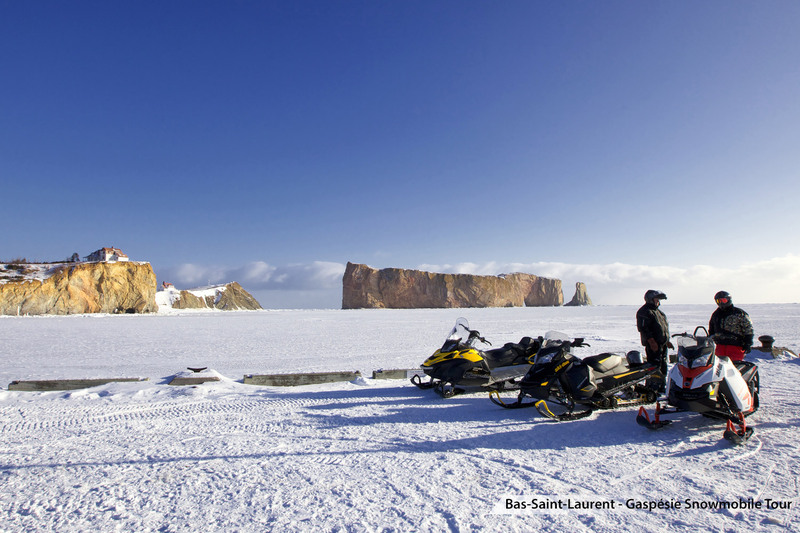 One of our most memorable tours of recent history was in the Bas-Saint-Laurent - Gaspésie Snowmobile Tour in the maritime regions of Québec. This marathon adventure spans 1920 km / 1194 mi. and takes you along trail #5 (TQ5) which is known for excellent snow conditions and breathtaking scenery. Along the way you'll enjoy stunning views of the St. Lawrence as you run along the edge of the Chic-Chocs Mountains, which eventually gives way to the legendary Percé Rock. Click to read the full article. Abitibi-Témiscamingue Region – The Prospector 900 km / 560mi. You'll love the friendly atmosphere of this region and visiting its varied accommodations, restaurants, bars and microbreweries. Blessed with a gorgeous trail system, this area connects an assortment of cities, towns and villages along the way and innumerable lodging facilities. Lanaudière-Mauricie - Rivières Trail 386 km / 240 mi. Legendary Trail 360, located just north of the Mastigouche wildlife reserve and La Mauricie National Park and routed alongside the scenic Rivière Matawin, provides breathtaking scenery and impeccable trail grooming. Charlevoix - Saguenay - Lac-Saint-Jean - Québec City & Area - The Big Loop 954 Km / 593 mi. Here you'll find proof why these are some of snowmobiling's best-known and most frequently visited destinations. Snowfall? You bet there's snow! How about 7 meters of it on a yearly average basis. No wonder there are over 5,300 kilometres of pristine groomed trails with your name on them. You'll be dazzled by the amazing snow-covered vistas along the St. Lawrence River and in the Monts-Valin area. While in the area, we also suggest taking in the Casino de Charlevoix or the world famous Québec Winter Carnival in Old Québec. 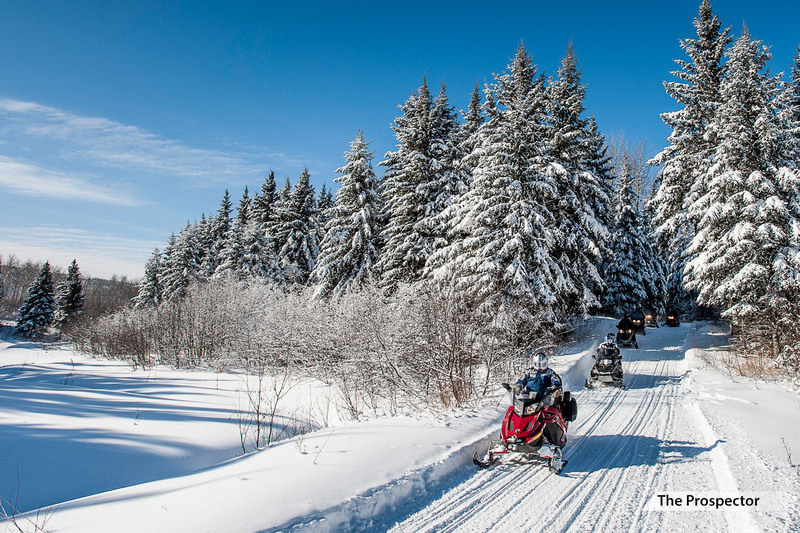 The popularity of riding in Québec continues to grow and the annual Snowmobile Trails Open House Event has contributed greatly to its success. In 2017, there were over 18,000 registered riders on the trail who took advantage of the free ride weekend. This represented an increase of over 4,000 from the previous year. For 2018 the Open House Event falls on January 20-21 and the website will be open for registration in early December. For those of you who simply can't wait that long to experience Québec, you can still benefit from discounted annual trail permits saving you $75 off the regular fee up until December 9, 2017.